Professional and affordable BBQ repair in Lake Murray! HIGHLY RATED! 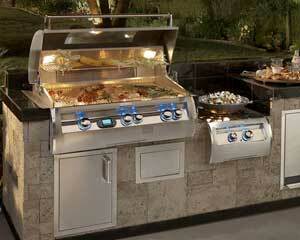 We are a professional company doing BBQ repair in Lake Murray as well as other outdoor kitchen services. If your needs your barbecue cleaned, serviced or repaired we are the company to call. Our technical team is trained and certified in all the latest technology when it comes to appliance repair. In particular, we know everything there is to know about barbecue grills. It does not matter what model or brand it is, we are familiar with it. 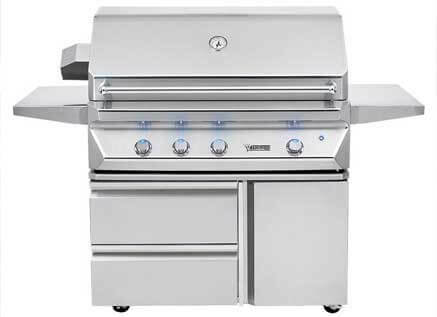 In particular, we specialize in high quality, elite brands such as Alfresco, Capital, DCS, Fire Magic, Kalamazoo, Lynx, TEC Sterling, Thermador, Twin Eagles, Viking, Weber, Wolf. Each one of those brands requires specific knowledge and skills. We know how to properly diagnose your barbecue and find the fastest way to fix it. Call us if you want professional results! Our company has more than 30 years of experience doing everything from BBQ repair, BBQ cleaning, BBQ restoration, patio heater repair, pizza oven repair, outdoor refrigerator repair, commercial oven repair to charbroiler repair and much more. In fact, we can repair and clean any appliance in your outdoor kitchen. We can handle big projects such as appliance repair in a commercial kitchen. Our company is highly skilled in performing all types of commercial appliance repair for restaurants, cafeterias, and catering services. You can not find a team with a better set of skills and experience. With us, your grill is in good hands! We have offices in Lake Murray, Los Angeles, Ventura County, East Bay and San Diego. For the best service in BBQ repair in Lake Murray, please give us a call at 858-433-0703. Our team will set up a convenient appointment for you, and our qualified technician will start working on your project right away. He will receive parts for your particular grill from our warehouse or will preorder them. Once he gets all the components, he will be on his way to you. BBQ Repair Doctor is most reliable and experienced company when it comes to BBQ repair in Lake Murray. We have more than 30 years of dealing with all kinds of barbecue grills. We will do a great job for you because we know everything there is to know about barbecue repair, barbecue cleaning and barbecue restoration. Our technicians are all factory trained and certified. They are fast, detail oriented hard working. You can trust us with issues of any size. Also, we offer you excellent customer service and very reasonable pricing. After an appointment with us, your barbecue will be as good as new! We would love to help you with all of your BBQ repair in Lake Murray needs! Please call us at 858-433-0703 schedule an appointment or ask a question. Or fill out our short online form. We would love to hear from you and answer all of your questions.